HERO PM, LLC, together with its officers and employees ("HERO PM"), through its website, HEROPM.com and other websites that connect to it, (the "Website"), offers Internet-based management , marketing, and communication resources and tools ("Management Tools and Services") for the property management industry. This End User License Agreement ("Agreement") is entered into by and between HERO PM and the individual and company ("Member") whose name you, the individual viewing this Agreement ("You"), entered into the HERO PM Membership sign up form, or signed on your agreement to purchase services. The Agreement shall be effective (the "Effective Date") as of the day you submitted the membership sign up form/agreement to purchase or the day on which You "click" on the "Accept"/"Agree"/"Continue" button at the end of this Agreement, whichever is earlier, regardless of when payment is demanded or made. By clicking on the "Accept"/"Agree"/"Continue" button at the end of the Agreement, You, on behalf of Member, agree to the terms and conditions of this Agreement. 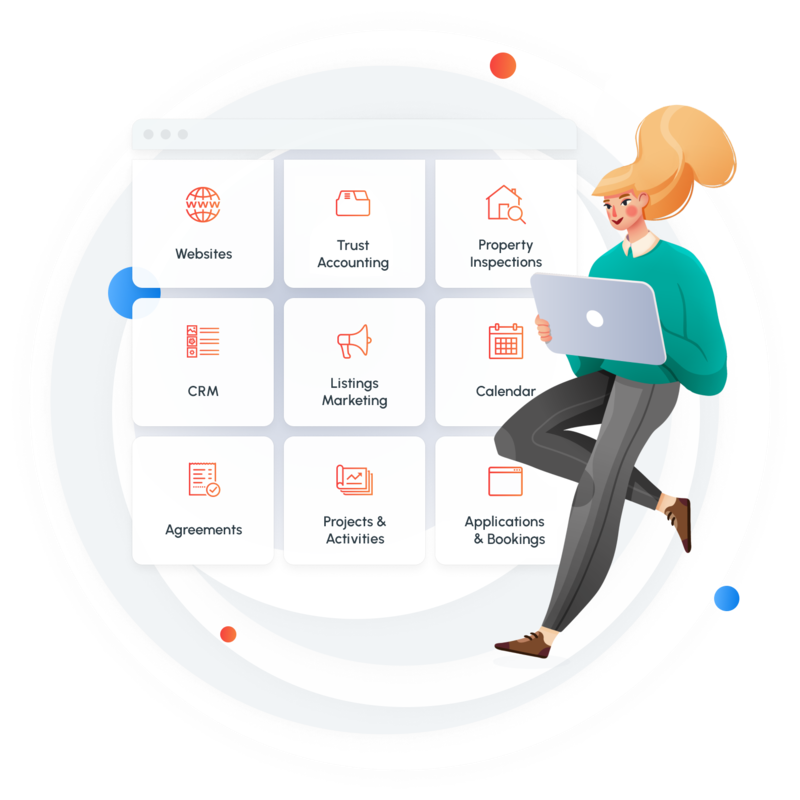 Member must accept the terms and conditions of this Agreement before accessing or using the Management Tools and Services provided through the Control Panel on the Website or any other software interface. You represent and warrant that You have the authority to bind Member to the terms and conditions of this Agreement. Member will ensure that Member's officers, directors, employees, agents, representatives and affiliates and any other persons or entities to which Member grants the right to access the Website will comply with the terms and conditions of this Agreement. HERO PM hereby grants Member a non-exclusive, non-transferable, non-sublicensable right to access and utilize the online Management Tools and Services provided on the Website to assist Member in the management of Member's property management business, within a single managed portfolio of properties, managed from a single location (“Company” account). Member shall have the right to add additional portfolios ("Agent" accounts) and managed portfolio/office locations ("Office" accounts). Member shall have the right to identify individual users who shall have access to the Control Panel. Member agrees that they and all identified users shall supply, input, and post only information contained in their management or leasing portfolios, where a portfolio consists of the properties which they own or for which they have an agency agreement with the owner. The rights granted herein are subject to the terms and conditions of this Agreement. Member is solely responsible for obtaining all hardware, software, telecommunications lines and Internet access that may be required to access the Website. Member understands that the information that it supplies, inputs or posts to the Website is the basis for Member's marketing, management, and operation of its business, its properties and/or other services provided by Member, and that HERO PM will not independently review or verify the accuracy or sufficiency of any such information. If HERO PM discovers or is alerted to violations of law, HERO PM reserves the right to edit or delete information to conform with applicable law. HERO PM is not responsible for any penalties or damages assessed against Member for any reason, including without limitation, as a result of Member's failure to provide all relevant and accurate information. Furthermore, Member agrees to reimburse HERO PM for any penalties imposed on or damages incurred by HERO PM in connection with Member's use of the Website for any reason (except to the extent of HERO PM's gross negligence or willful misconduct), including without limitation as a result of Member's failure to provide all relevant and accurate information. Member agrees to comply with all local, state, and federal regulations regarding the supply, inputting, posting, and display of any information to the Website. Member further agrees to notify HERO PM in the event of any conflict with any regulation. It is the sole responsibility of the Member to maintain awareness of any regulations that affect their use of HERO PM. The initial term (the "Initial Term") of this Agreement shall be for a one year period from the Effective Date unless terminated sooner pursuant to Section 19 herein, or in the case of free accounts, the Launch/Lite Edition Addendum. This Agreement shall renew automatically on the first day of the anniversary month of each subsequent year (the "Renewal Date") for a period of one year (each, a "Renewal Term") unless terminated sooner pursuant to Section 19 herein or the Launch/Lite Edition Addendum, at the then current Membership, Package, or Account Fee for the applicable Membership, Package, or Account Category. The Initial Term and any subsequent Renewal Terms are each sometimes referred to herein as the "Term." When sub-accounts are created by the Member ("Office Accounts" and "Agent Accounts"), their Initial Term shall be for a one year period from the date of the creation of the sub-account. Beyond the Initial Term, sub-accounts shall be coterminous with the Term of the Member's primary account (the "Company Account"). Member shall be charged an annual membership, package, or account fee ("Package Fee") which shall be due and payable on the Effective Date, unless other payment arrangements are agreed to in writing by HERO PM. Upon initial setup or upgrade of the package, Member may also be charged a membership, package, account, or website setup fee ("Setup Fee"). A package may also include additional fees ("Account Fee") for additional agents or offices associated with the package. Package Fees, Setup Fees, and Account Fees are outlined on the package order or upgrade form, in print and/or online, and are subject to change. In the event that Member is out of compliance with their portfolio licensing requirements per Section 2, HERO PM has the right to add Account Fees and their corresponding office and/or agent accounts to bring Member into compliance. Member shall have 60 days from the notification of account changes to request and complete a compliance audit to dispute these additional fees. To assist Member in the operation and management of Member's business, HERO PM may offer additional services not specifically included in a Membership ("Additional Services"). In the event Member desires, at Member's sole option, Additional Services from HERO PM, Member will be charged and shall pay the then current pricing for such Additional Services. Member acknowledges that the Website, including without limitation all software, methods, processes, know-how, trademarks, text, graphics and other content accessible or used by HERO PM, is proprietary to or licensed by HERO PM, and that all right, title and interest therein and thereto is retained by HERO PM. Member's rights to use the Website are expressly limited to the right to access the Website in accordance with the terms and conditions of this Agreement. Member shall identify those individuals authorized to request online services from HERO PM on behalf of Member ("Users") pursuant to the terms of this Agreement. Users authorized by the Member will have access to add, modify, and remove Member's information from the website, which may affect Member's business and incur expenses on behalf of the Member. Member shall not knowingly or intentionally permit any persons to access the Website who are not expressly authorized to do so. Member shall be responsible to identify users once authorized who shall not continue to be authorized based on the discretion of the Member. If the Member does not identify these users according to the procedure set forth by HERO PM, HERO PM is in no way liable for the actions of those users as it pertains to HERO PM, even if the user is no longer in the employ of the Member. The ideas, concepts, techniques, formulas, models, inventions, discoveries, improvements and other information relating to information processing, valuations or other related services, developed during the course of this Agreement by HERO PM may be used by HERO PM, without obligation to account, in any way it deems appropriate, including without limitation by or for its clients or customers, notwithstanding any provision in this Agreement to the contrary. 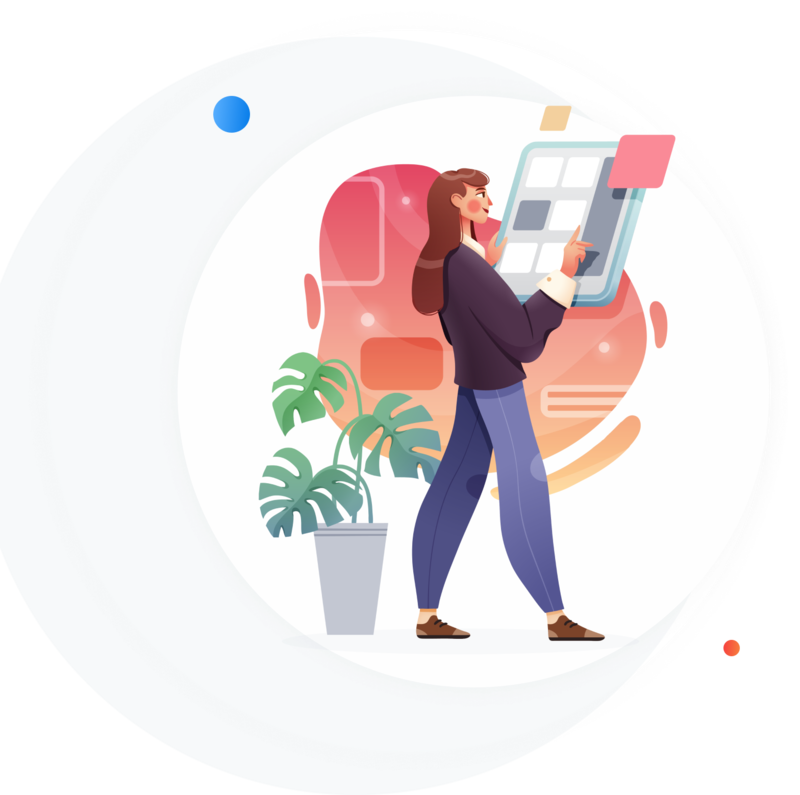 HERO PM is in the business of providing Management Tools and Services and other internet-based services for a wide variety of customers and Member acknowledges that HERO PM will continue these activities. Accordingly, nothing in this Agreement shall preclude or limit HERO PM from providing Management Tools and Services or other services to, or from developing materials for, itself or other third parties. The Management Tools and Services provided on the Website incorporate certain publicly available data provided by third parties ("Public Data"). HERO PM does not independently verify the accuracy or sufficiency of any such Public Data. Member acknowledges that use of the Website by Member involves transmission over the Internet of proprietary and confidential information of Member. HERO PM cannot guarantee the security of such information when transmitted over the Internet. HERO PM will not be liable or responsible in any way to Member for any losses, damages, claims, costs, expenses or other obligations arising out of or relating to any unauthorized access to or disclosure or use of such information transmitted over the Internet, unless such losses, damages, claims, costs, expenses or other obligations are due to the gross negligence or willful misconduct of HERO PM. Member is directed to HERO PM's online Privacy Statement for information regarding the privacy policies and measures of HERO PM. Member's rights to access and use the Management Tools and Services offered on the Website, as provided in this Agreement, may not be assigned, licensed or transferred to a successor, affiliate or any other person, firm, corporation, organization or other entity voluntarily, by operation of law, or in any other manner, without the prior written consent of HERO PM. From time to time, HERO PM may, in its sole discretion, develop updates and enhancements to the existing functionality of the Website, or develop new functionality at the Website, and/or update, enhance or create new Membership Categories, Packages, or Licenses (collectively referred to hereafter as "Modifications"). If any Modification is released, such Modification will be subject to the terms of this Agreement. If any Modification will be subject to additional charges, Member has the option to accept or decline such update or enhancement. The application and impact of laws can vary widely based on the specific facts involved. Given the evolutionary nature of laws, rules and regulations, and the inherent hazards of electronic communication, there may be delays, omissions or inaccuracies in information contained in the Website. Accordingly, the information on the Website is provided with the understanding that neither HERO PM nor the authors and publishers of the Website are rendering legal, accounting, tax, or other professional advice and services herein or in connection with the Website. As such, information obtained from the Website should not be used as a substitute for consultation with professional accounting, tax, legal or other competent advisors. Member agrees that its use of the Website is at Member's sole risk. The Management Tools and Services, and other information on the Website are provided by HERO PM in accordance with the terms and conditions set forth in this Agreement, on an "AS IS" and "AS AVAILABLE" basis. HERO PM is not responsible for any errors or omissions. HERO PM is not responsible for the accuracy or completeness of the Public Data. Neither HERO PM nor its officers, employees, agents or affiliates warrant that access to the Website will be uninterrupted or error free, nor does any such party make any warranty as to the results that may be obtained from the use of the Website, or as to the timeliness, sequence, accuracy, completeness, reliability, or content of any information, service, or transaction provided through the Website, or with respect to any software, if any, provided for use in accessing the Website. HERO PM MAKES NO OTHER REPRESENTATION OR WARRANTY OF ANY KIND, WHETHER EXPRESS OR IMPLIED, REGARDING ANY OF THE INFORMATION IN THIS SITE, THE TOOLS TO BE PROVIDED OR ANY DELIVERABLES, IN PARTICULAR, AND WITHOUT LIMITATION OF THE FOREGOING, ANY EXPRESS OR IMPLIED WARRANTIES OF PERFORMANCE, FITNESS FOR A PARTICULAR PURPOSE, NON-INFRINGEMENT, TITLE, MERCHANTABILITY, WARRANTIES ARISING BY CUSTOM OR USAGE IN THE PROFESSION, AND WARRANTIES ARISING BY OPERATION OF LAW ARE EXPRESSLY DISCLAIMED. IN NO EVENT, UNLESS IT HAS BEEN FINALLY DETERMINED THAT HERO PM ENGAGED IN WILLFUL MISCONDUCT OR ACTED FRAUDULENTLY, SHALL HERO PM OR ANY OF ITS EMPLOYEES, OFFICERS, PARTNERS, DIRECTORS, MANAGERS, MEMBERS, AGENTS OR AFFILIATES BE LIABLE TO MEMBER OR ANY OF ITS OFFICERS, DIRECTORS, EMPLOYEES OR SHAREHOLDERS OR TO ANY OTHER THIRD PARTY, WHETHER A CLAIM BE IN TORT, CONTRACT OR OTHERWISE FOR ANY AMOUNT IN EXCESS OF THE LESSER OF (A) THE AGGREGATE AMOUNT OF FEES PAID BY MEMBER TO HERO PM UNDER THIS AGREEMENT, OR (B) $5,000. IN NO EVENT SHALL HERO PM BE LIABLE FOR ANY SPECIAL, CONSEQUENTIAL, INDIRECT, EXEMPLARY, PUNITIVE, LOST OR SIMILAR DAMAGES, EVEN IF HERO PM HAS BEEN APPRISED OF THE POSSIBILITY THEREOF. To the extent that any links in the Website connect to other websites maintained by third parties over whom HERO PM has no control, HERO PM makes no representations or warranties as to the accuracy or any other aspect of information contained in other websites. Member acknowledges that the Management Tools and Services provided by HERO PM are to be used to assist Member in the operation and management of its business only and should not and cannot be relied upon for any other purpose. Member acknowledges that it alone is responsible for the operation and management of Member's business as Member deems necessary and appropriate, and Member assumes full responsibility for its use of, and any results obtained from, the Website. Member may, for internal use only, view information from the Website online, download such information to a personal computer hard disk for convenience and later reference, print a hard copy of such information for convenience and later reference, and on an infrequent basis, include limited portions of such information in internal written memoranda, reports and presentations. No other copying, retransmission, redistribution, or reproduction in any medium or form of any information contained on the Website is permitted. Member shall not modify, decompile or reverse engineer any software provided or accessible through the Website. Member agrees not to use, circulate, quote or otherwise refer to HERO PM, the Website or any reports or other documents obtained from HERO PM or the Website in any financial statement or other document filed, submitted or published outside of Member for any purpose, with the exception of reports or documents that are comprised exclusively of data originating from the Member. Member agrees to indemnify, defend and hold harmless HERO PM, its officers, managers, employees, affiliates and agents (each an "indemnified party") from and against any and all liabilities, losses, demands, costs and expenses, joint or several, to which such indemnified parties may be subject arising out of the performance of this Agreement, including claims by third parties. Member agrees to reimburse any indemnified party for all reasonable expenses (including reasonable counsel fees and expenses) as they are incurred in connection with the investigation of, preparation for, or defense of, any pending or threatened claim or action or proceeding arising therefrom, whether or not such indemnified party is a party. The provisions of this indemnification clause will not apply to the extent that it has been finally determined that HERO PM was grossly negligent or acted willfully or fraudulently in connection therewith. In the unlikely event that differences concerning HERO PM and/or the Website should arise that are not resolved by mutual agreement, to facilitate judicial resolution and save time and expense of both parties, HERO PM and Member agree not to demand a trial by jury in any action, proceeding or counterclaim arising out of or relating to HERO PM's services or fees under this Agreement. This Agreement shall be governed by the laws of the State of Arizona. Any claims, legal proceeding or litigation arising in connection with the Service will be brought solely in Maricopa County, Arizona, and you consent to the jurisdiction of such courts. HERO PM may unilaterally change this Agreement at any time by conspicuously posting notice of such change on the Website for a period of 5 consecutive business days or by providing written or electronic notice to Member. Continued use of the Website by Member after such notice will constitute acknowledgment and acceptance of the revised terms and conditions. HERO PM, in providing access to the online Management Tools and Services and information to Member, is an independent contractor. HERO PM does not undertake to perform any regulatory or contractual obligation of Member or to assume any responsibility for Member's business or operations. Member acknowledges and agrees that all information and tools provided hereunder are being provided solely by HERO PM, and not its members, affiliates or agents. This Agreement may be terminated by either party, with or without cause, at any time by giving 30 days' written notice of termination to the other party. In the event the termination originates from the Member, the Member shall still be responsible for the full payment of any current and active contract. In the event the termination originates from HERO PM, a refund shall be due to the Member consisting of the monthly pro-rated value of the paid, but unused, portion of the contract. This pro-rated amount shall be payable to the Member before the completion of their contract or upon demand of the Member, whichever is later. 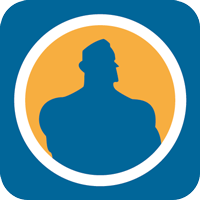 Member is responsible for deactivating or removing all of their content in the HERO PM systems. In the event that the Member does not have access to remove their content, they must specifically request that HERO PM remove it on their behalf. Request is considered received when HERO PM provides confirmation of receipt. HERO PM reserves the right to prohibit future use of either paid or free services after an account is terminated. Additional accounts created by the Member, as sub-accounts of their Company Account ("Office Accounts" and "Agent Accounts"), may be terminated by either party, with or without cause, at any time by giving 30 days' written notice of termination to the other party. In the event the termination originates from the Member, the Member still be responsible for the full payment of any current and active contract, including sub-accounts. However, the Member will be eligible for credit of the unused portion of the contract (the sub-account portion) when the actual office or agent represented by the sub-account is no longer associated with the Member, and written notice of evidence of eligibility is submitted by the Member to HERO PM. In the event the termination originates from HERO PM, a refund shall be due to the Member consisting of the monthly pro-rated value of the paid, but unused, portion of the contract. If to Member: To the address, including facsimile number and e-mail address, provided by Member to HERO PM on the agreement to purchase or the member record. HERO PM may provide Member with a free, limited use edition of Packages and Services, usually referred to as a "Launch" or "Lite" edition. While using a free edition, Member is bound by all terms of the End User License Agreement. HERO PM reserves the right to limit the free edition. Limitations may include, but are not limited to, functionality of the package, quantity of content, number of users and clients, duration of use, duration of data storage or availability, demo/trial/upgrade warnings and labels, advertising and promotional banners and links, support provided, and customized services. These limitations can be modified at any time at the discretion of HERO PM with no obligation to post notice to Member. After a period of inactivity, HERO PM reserves the right to disable or terminate Member's account. If an account has been disabled or terminated for inactivity, the account number and any specific names or labels associated with that account may be given to another Member without notice to you or such other party. The free edition may be terminated at any time without notice with or without cause by HERO PM. The free edition may be terminated by Member with 30 days notice to HERO PM. Notice is considered received only when HERO PM provides confirmation of receipt of request to terminate.